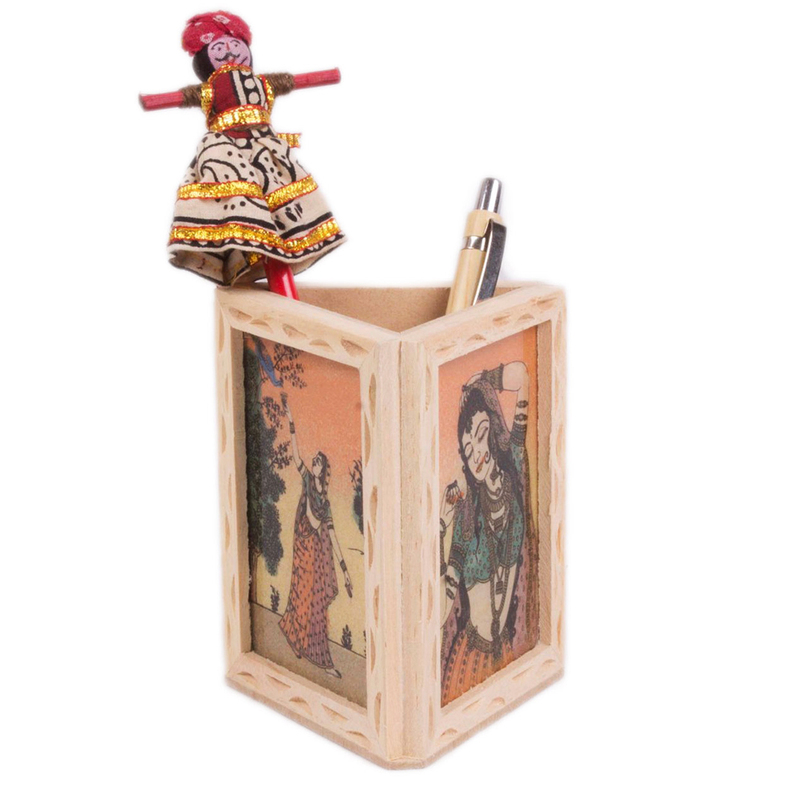 The most striking feature of this pen stand is its shape & the picture of the Rajasthani lady imprinted on it. 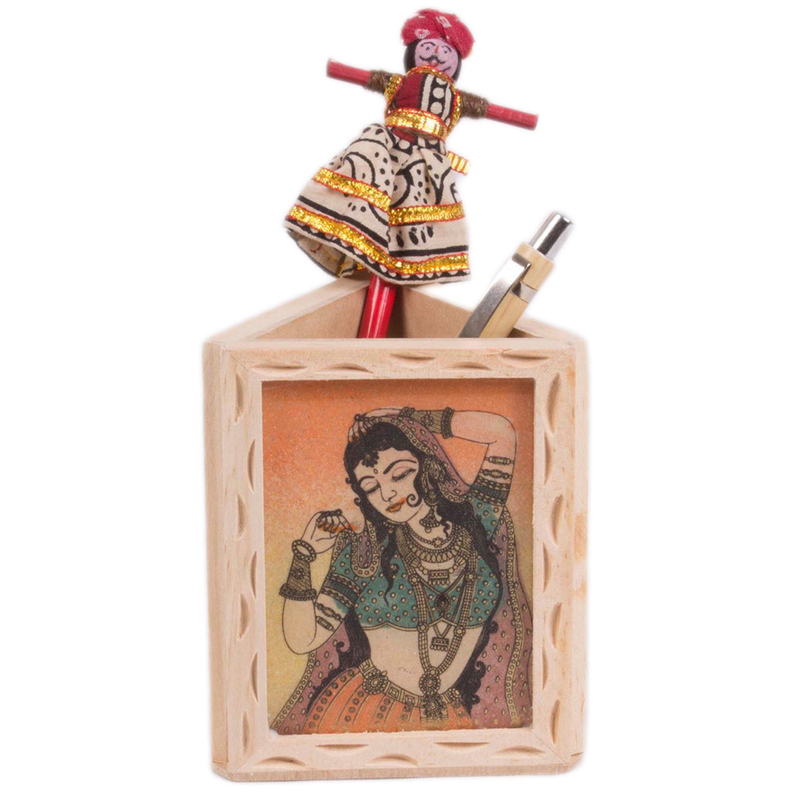 The high quality wood Read More..as raw material & the majestic opulence of the Rajasthani art will enhance the beauty of your working desk. Keep this stand on your Desk to accrue & organize all your stationeries to make your work space neat & tidy. Buy this item from Boontoon in a really affordable price. 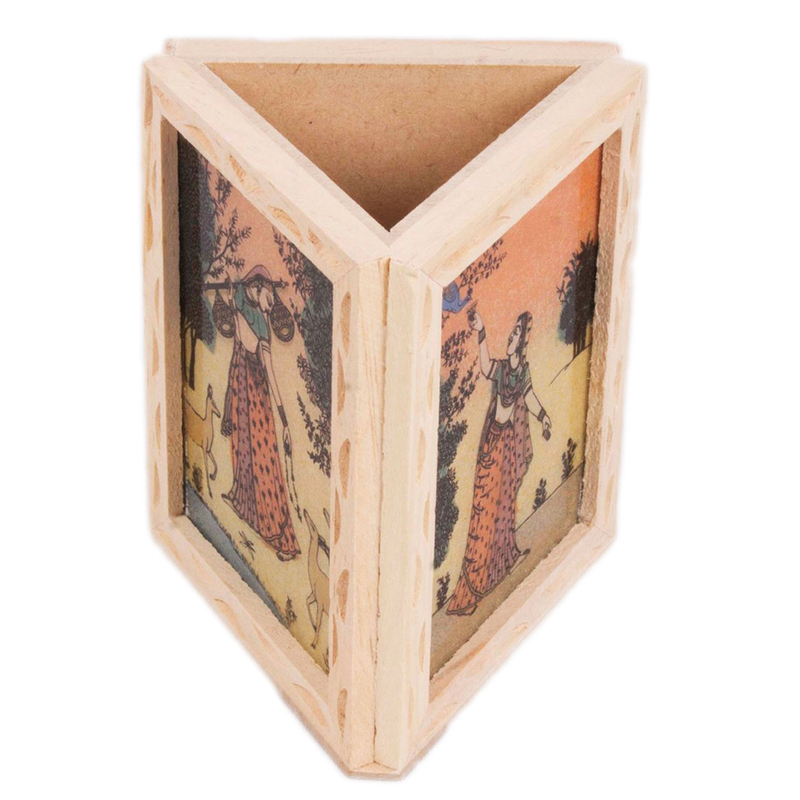 This product is designed by one of the most eminent artisan from Jaipur. Buy it & enjoy the royal flavor of Rajasthani art. Show Less..